English National Ballet’s acclaimed production of Nutcracker returns to the London Coliseum this Christmas from Thursday 11 December 2014 - Sunday 4 January 2015. First performed in 2010 to celebrate English National Ballet’s 60th anniversary, Wayne Eagling’s version has since been seen by over 300,000 people. This year, Nutcracker sees two of English National Ballet’s rising stars make their debuts as Clara; Katja Khaniukova who performs alongside Ken Saruhashi’s debut as the Prince and Daniele Silingardi’s debut as the Nutcracker; and Ksenia Ovsyanick who performs alongside Max Westwell’s debut as the Prince and Fabian Reimair’s Nutcracker. Further Principal dancers include Alina Cojocaru as Clara, Alejandro Virelles as Prince, winner of the 2014 Emerging Dancer award Junor Souza as Prince and Nutcracker, Laurretta Summerscales as Clara, identical twins Guilherme Menezes and Vitor Menezes, both making their debuts as Prince and Nutcracker, and Artistic Director Tamara Rojo as Clara. This is English National Ballet’s 11thproduction of Nutcracker since it performed its first full length Nutcracker in 1950, its founding year. 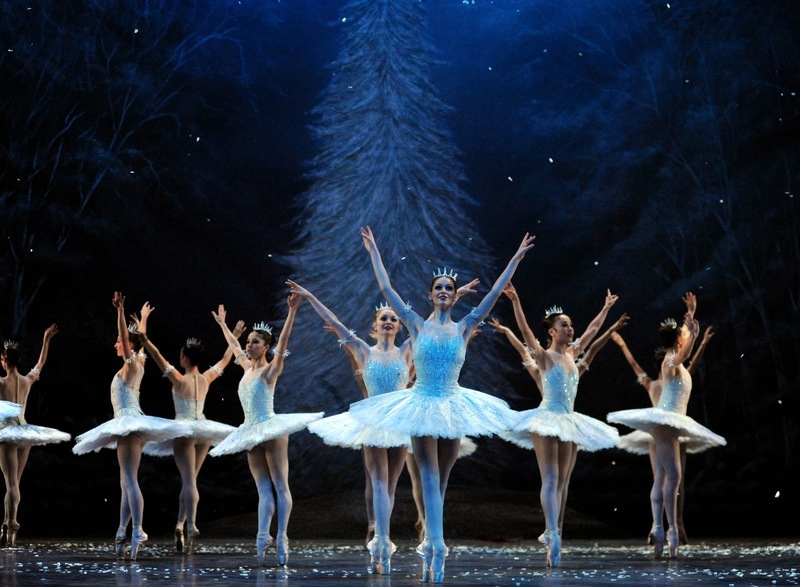 Since then, English National Ballet has established the tradition of performing Nutcracker at Christmas every year. On an enchanted Christmas Eve, under the heavy boughs of the candlelit tree Clara battles with the Mouse King and falls in love with a handsome stranger. As the air grows colder and snowflakes begin to fall, Clara and her valiant Nutcracker take a hot air balloon ride across the frost-dusted London skyline to the glistening Land of Snow where her adventure really begins. In a world of Edwardian elegance, Nutcracker brings to life the popular Tchaikovsky score featuring the Dance of the Sugar Plum Fairy and Waltz of the Flowers. Based on concept by Toer van Schayk and Wayne Eagling, Nutcracker has choreography by Wayne Eagling and music by Pyotr Ilyich Tchaikovsky, performed live by the Orchestra of English National Ballet, with design by Peter Farmer and lighting by David Richardson.